When it comes to landscape lighting ideas and design, outdoor tiki torches provide a simple and inexpensive way of adding light to your garden. They will create a warm and tropical atmosphere that invites people to enjoy the space in your garden. When it comes to tiki torches there are a few areas to know about that will help make the planning and design of your landscape what you wish it to be. The average tiki torch stands at 5 feet and comes as kerosene or gas fueled versions. Both have their advantages and disadvantages. The most common outdoor tiki torches are the kerosene-fueled torches, which can easily be found in hardware stores and even large supermarkets. For fuel you will have the choice of kerosene, citronella oil, or the cleanest burning fuel is paraffin oil. Kerosene torches are generally made of bamboo or the more expensive kinds are made out of aluminum. They will have a shaft that is used to press into dirt or a bucket of sand to hold it upright. The top part of the torch is usually made out of straw or bamboo that holds the plastic fuel container. Each torch has a metal top that exposes one end of the wick, and the other end is submerged into the plastic bottle. The cord (wick) is lit and it draws fuel from the oil in the plastic bottle. These can burn for a few hours at a time before you will need to refuel and adjust the wick to expose more of it. The advantages of kerosene, oil tiki torches are that they are inexpensive, flexible and you do not require any complex installation. You are able to place the tiki torch wherever you like, as you do not require underground gas piping. Going for gas tiki torches can be a sizable investment. The reason people do so is because of the greater quality in light and lower maintenance. A gas based tiki torch is fueled by a controllable source, which will allow you to control the flame of the torch. You can make the flame a lot larger and brighter than kerosene or oil tiki torches. The flame will be at a constant height for the duration of the night, whereas a kerosene tiki torch will need attention after a number of hours: refilling and wick extension. You can also light a number of gas tiki torches at the same time from a master control. The only maintenance needed for gas based tiki torches is that they need to be kept clean of garden debris, leafs, twigs, etc. The added benefits of this type of torch comes from the initial hard work of laying out gas piping under the garden. Trenching will be required, making this a long-term landscape design plan. An added benefit of kerosene and oil tiki torches is that you can fuel them with citronella oil. Made from a relative of the lemon grass, citronella oil harvested from citronella grass is a natural insect repellent. This plant based, non-toxic biopesticide burns slowly providing hours of light and insect repellent through the night. Citronella tiki torches also burn without producing smoke. You will want to place your citronella tiki torches 15 feet apart to provide effective insect repellent. There is a range of choices when it comes to tiki torches. Choosing among them will be determined by your preference in function (kerosene vs. gas), landscape design style, and budget. 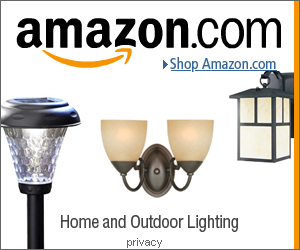 The most common torches used for casual landscape lighting are the simple rattan or bamboo tiki torches. These are inexpensive, simple to use and are easily found online and offline. But these will look out of place in contemporary gardens with outdoor kitchens, wooden or granite patios. There are more modern and high-grade outdoor tiki torches available for these types of gardens. More modern and permanent torches can be found such as copper tiki torches, brass, aluminum, steel, and glass, and will come as stakes that you can plant into the ground, or will have their own base to stand on. You can also find tabletop versions, deck torches that can be attached to railings, hanging torches, path torches, wall mounted, and solar tiki torches. Kerosene and oil tiki torches can serve a number of functions around the garden. They can be used for ambient lighting, task lighting and accent lighting. Most people will use tiki torches for ambient lighting, placing them around the garden or patio. Depending on the space you are looking to light, the general method is to place the torches 15 feet apart, and 3-4 feet away from chairs or tables. Task lighting is lighting that helps people do something like walking down a path, finding their car in a driveway. Tiki torches can also be placed around the food area in a garden providing light for people to see the food. When it comes to lighting a path or a driveway with outdoor tiki torches you will want to alternate the sides they are on so not to make your path look like an airport runway. Another way of adding light to your landscape is to use accent lighting. Accent lighting is used to highlight a certain area or object in your garden. You can place tiki torches around a swimming pool, above ground deck, or fountain highlighting those areas of your garden. It is important to take precautions when using flame based lighting in gardens. Avoid placing your tiki torches near bushes and low hanging trees. Leave ample room between torches and plants, trees, etc. The typical and common rattan and bamboo tiki torches can be found for $5 to $30 at places like Amazon or even local supermarkets. They will come as single torches or in a set. Prices for more modern and permanent fixtures can range from $30 to $100 and even up to $300. The versatility of outdoor tiki torches provide people with many options when it comes to garden lighting. From inexpensive, flexible options, to more expensive, permanent tiki fixtures. Either way your garden will be transformed into a warm and inviting space to be enjoyed when the sun goes down.